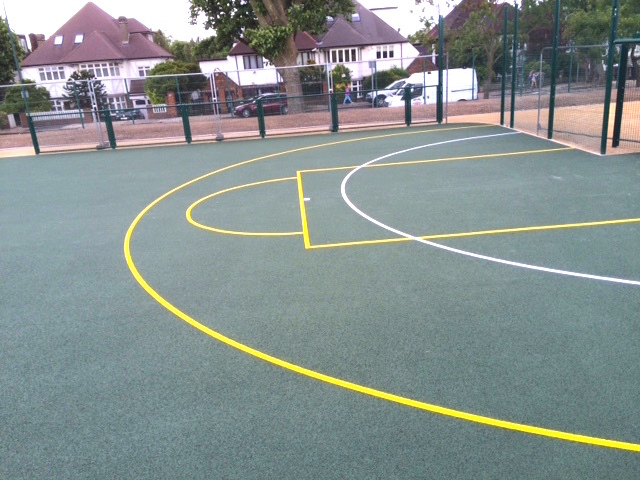 The safety fences came down and the new MUGA and climbing wall opened to the public on Friday 7th August. Immediately popular with kids of all ages, it’s been worth the long campaign and endless delays to finally see this space being used for play and exercise once again. There’s still more to do; the landscaping will take place in the cooler, wetter Autumn months to give the plants a better chance to take root. This will involve grassing the banks, planting hedges around the street-side perimeters and around 6-7 trees throughout the activity area. Further tree planting will be taking place on the Green itself to replace those removed as part of the Thames Water works. We have asked Brent for extra bins to place inside the activity area, and for the signage that explains that dogs are not allowed in there.the play/gym area. 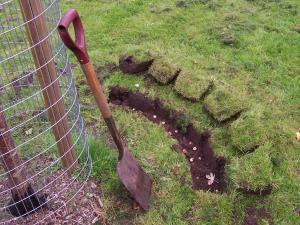 We have also asked for the gravel surface to be inspected, as it’s already breaking up. However, it’s open, so please take your kids, footballs, basketballs and bikes and enjoy it! 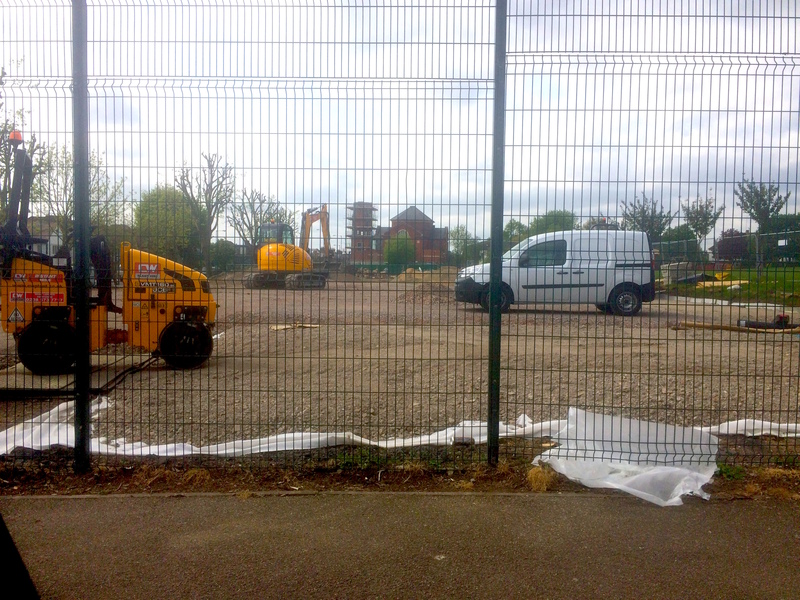 As you’ve probably seen, the contractors started work in early April, clearing the old tarmac and laying the base for the MUGA. We’ve been told it’s a 10 week project, which would take us to mid-June. After that there’s the landscaping and planting, much of which will have to wait until after the summer. Great to see work in progress after all these years. Unfortunately we need to undertake additional ground work surveys. This is not work that was pre-determined and is not usually necessary. It is not the fault of the contractors, ETC sports. We are waiting for the results of the survey to know what the next required actions are and therefore what the impact will be on the timeline. We don’t know what this means to the timing or why the issue of ground work surveys has come up so late in the day, but it’s clearly very disappointing when work was so close to starting. Since Thames Water first told us about the major works on Tiverton Green we have been talking to them about the possibility of making a ‘legacy’ contribution to the community. We asked for improvements to the kids playground area (not the old tennis court area, which is being separately improved, but the original playground with swings and zipwire). We’re delighted to say that today we had confirmation of a £14,800 payment, which Brent Parks will now use to install new play equipment and picnic benches, but also to paint the rather battered and tired railings around the playground. Some work has already begun, and the rest will be weather dependent but expect to see more changes soon. This money is in addition to the utility’s obligation to restore the grass, trees and paths to their former selves, when the site is vacated in or before late March 2015. Many thanks for Thames Water, Optimise and Brent Council’s Parks and Leisure Service. Brent Council Sports and Parks Service have appointed ETC Sports Surfaces Ltd to carry out improvement works to the dilapidated hard standing area to the south of Tiverton Green Open Space. The improvement works include the creation of a Multi Use Games Area (MUGA), a traverse climbing wall as well as continuation of walking/jogging routes around the area. These works will complete the improvement works that Brent Council and the Friends of Tiverton Green worked together to implement for this part of the open space. The works are scheduled to start in January and will be complete in March. These facilities will be available for the community to use free of charge and will compliment the existing outdoor gym and cycle track already available.